You can use FeedDemon to read your RSS feeds. It allows you to customize the way you read and organize feeds. 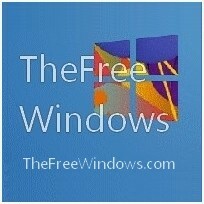 It also allows you to download podcasts to your iPod or Windows Media Player. Features: customize the way feeds are organized and displayed; Set up custom news watches based on keywords or use the search to find articles; download podcasts and audio files and have them show up on your portable audio device; Synchronize with NewsGator Online and the rest of the NewsGator RSS Suite. Pre-configured with dozens of feeds you can browse and select what to keep. A so called “Panic Button” detects when you have a ton of unread items and offers to mark them (or a subset of them) as read. Newspaper Format: When you select a channel, FeedDemon’s tabbed browser displays the channel’s news items in a newspaper for easy reading. You can display a newspaper of news items for an entire folder or view one feed at a time. News Bins: If you find an interesting item that you might want to read again, store it in a news bin for future reference.